Valid for bookings until 15 March 2013 (travel until 31 March 2013). 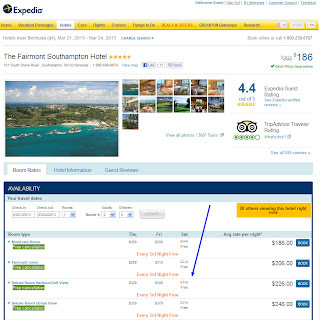 The total price from Expedia arrives at 871$ (taxes included). 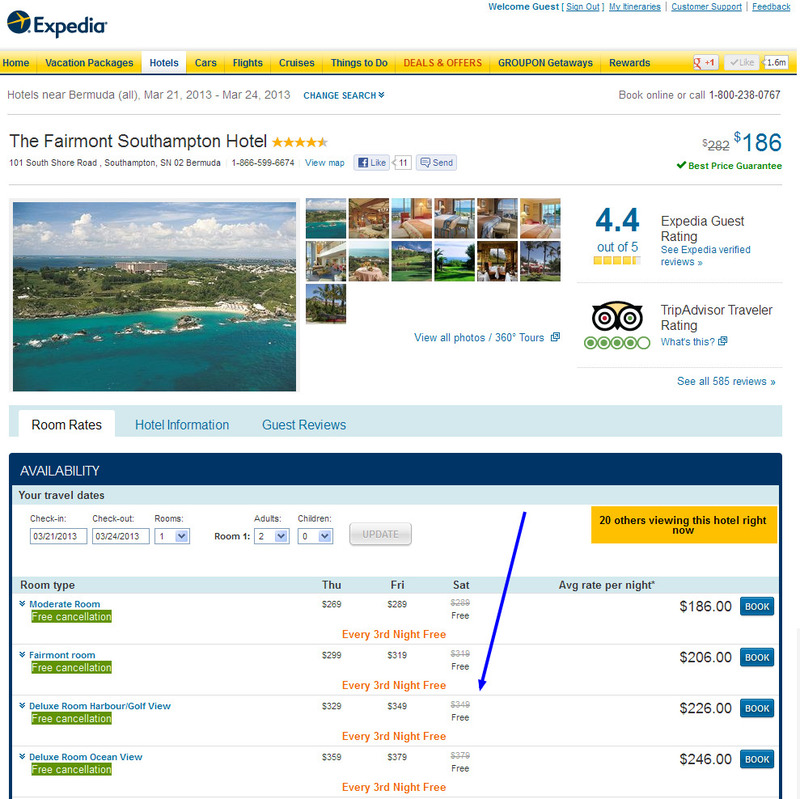 The same room costs 1 125$ from booking.com (that's 250$ more expensive).